I'm generally not one to throw around hyperbole, but I truly believe that what I'm about to reveal to you is the best question you can ask in an interview, simply because it reveals so much about a candidate and his character. I can't tell you how many times I've stumped people cold with this question. So whether or not you're an interviewer or interviewee, it would be best to prepare for it. Are you ready? Click below to see the answer. 3 Years of Work: 6,000 hours of compensation (2,000 hours per year). Most candidates come to job interviews with one thing on their minds – nail the interview and impress the interviewer. Not a bad strategy, but often a shortsighted one. I’m never going to argue that impressing your interviewer is the most important thing you can do. But what you always need to be aware of is that everyone you come into contact with during your job interview may be ‘interviewing’ you – whether you know it or not. There’s an old saying in business that you can't manage what you don’t measure. Performance measurement through metrics and data is incredibly relatable to businesses, large and small. So, why not position yourself as a strong candidate by demonstrating that you already measure your past efforts? 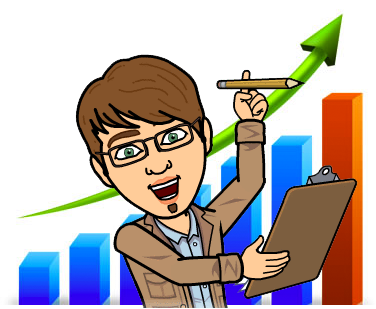 If you read any resume blogs out there, most recruiters will say that quantifying results in a resume really makes a difference because it builds credibility in the candidate. And it shows that you’re thinking the way employers do about performance. How to answer the question: "Tell me about yourself"
Many times in a job interview you'll be asked an old favorite of interviewers: "So, tell me about yourself." After so many years of asking this question myself, I can tell you that the majority of interviewees don't know how to answer this correctly, because they think it's a chance to talk about themselves and their interests. More of a getting to know you kind of question. Well it's not. The only thing an employer wants to hear when he asks this question is anything about you as it relates to the job he's offering. He doesn't care that you've been to Europe or that you went on an exchange. He also doesn't care that you snowboard every year at Whistler. All he wants to hear from you is how your experience, whether at work or personally, makes you a great fit for the job he'd offering or the company he works with. Below, here's a video of a classic answer we see all the time from new graduates who apply for a marketing position at our software company. Just because she gave a lousy answer doesn't mean that she doesn't have the appropriate experience to answer this question correctly. She just misread the question. Remember that when you're asked this question, no one wants to hear about your Pokemon collection or your new age eating habits, unless it's in the context of the job being offered. The answer given below is the way to knock it out of the park. Do you have the same goal as employers? When you’re looking for work, what’s your end goal? To get hired, right? Many job seekers make the critical mistake of only considering their goal when they go in for an interview. In fact, they generally make this mistake long before they even make it to an interview – and that’s why they often don’t get the job they want. The funny thing about looking for work is that a job seeker’s goal is in total misalignment with employers’ goals. Employers don’t exist to give you a job. When they’re hiring for a position, they’re not thinking, “Oh, I just hope a warm body shows up, so I can give them some work!” They’re hiring because they have a need to address. They have too much work to handle with their current resources. In essence, they’re looking for the best way to solve their resource problem. In my opinion, this is a really dumb question, because I’m not really sure what employers expect as an answer. “Hmm, my biggest weaknesses would have to be my exceptionally low IQ and my penchant for kleptomania. Am I hired?" 4 things to optimize yourself for a Google search. Inevitably your future employer, or a recruiter, is going to do a Google search on you. 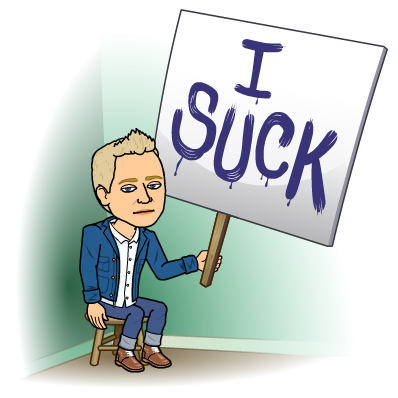 So what does a Google search say about you, and more importantly, what are recruiters looking for to eliminate you from their hiring process? When we look at candidates we don't start Googling them until we get past the second interview. So we already know them pretty well before we start our due diligence, which also comes with in depth conversations with references to clarify some things that stuck out to us in the interviews. Why do we eliminate you? I’m not a big fan of the ‘Objective’ on resumes even though I see them all the time. The reason I don’t like them is because they usually don’t mean anything to me, i.e. they’re irrelevant. And if something on your resume is irrelevant to the person reviewing it, you shouldn't include it. (a comatose, hungover sounding) "Hello?" 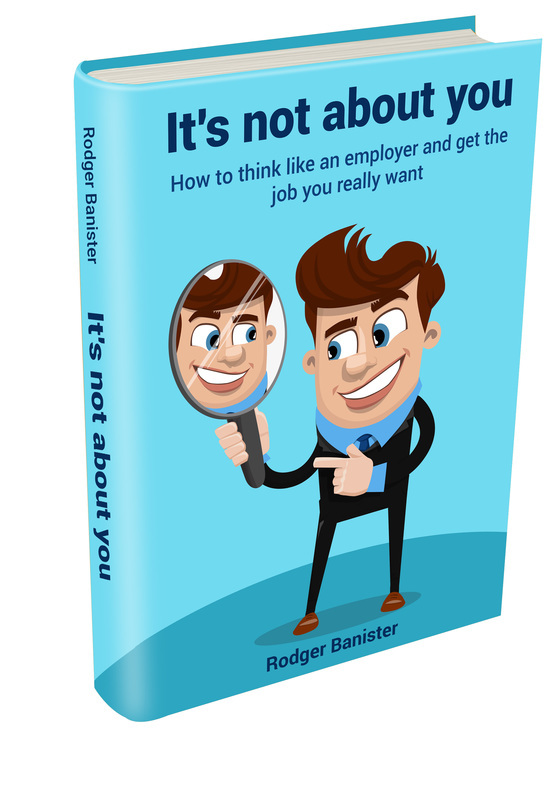 Rodger Banister is an award winning copywriter and author of It's Not About You: How to think like an employer and get the job you really want.